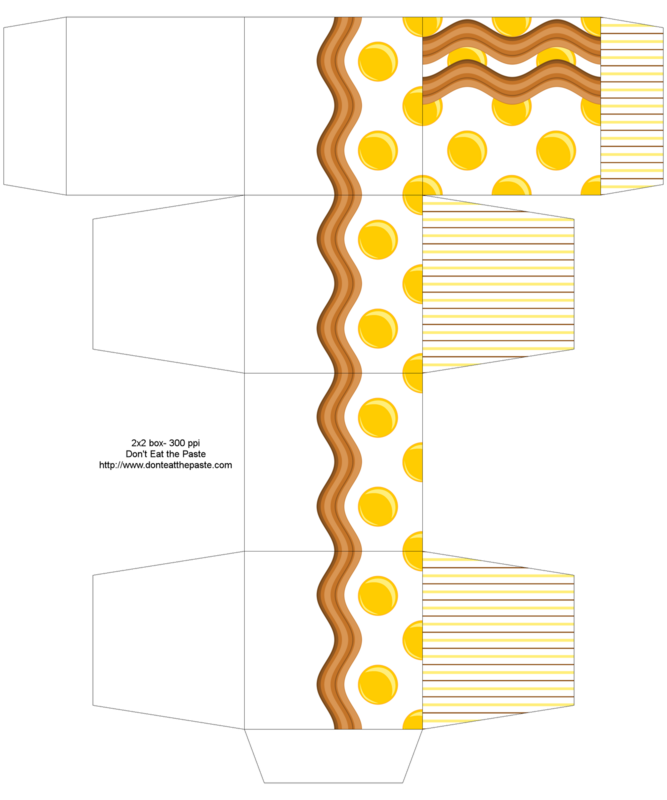 The idea of fried egg swiss dots with bacon rickrack makes me smile. 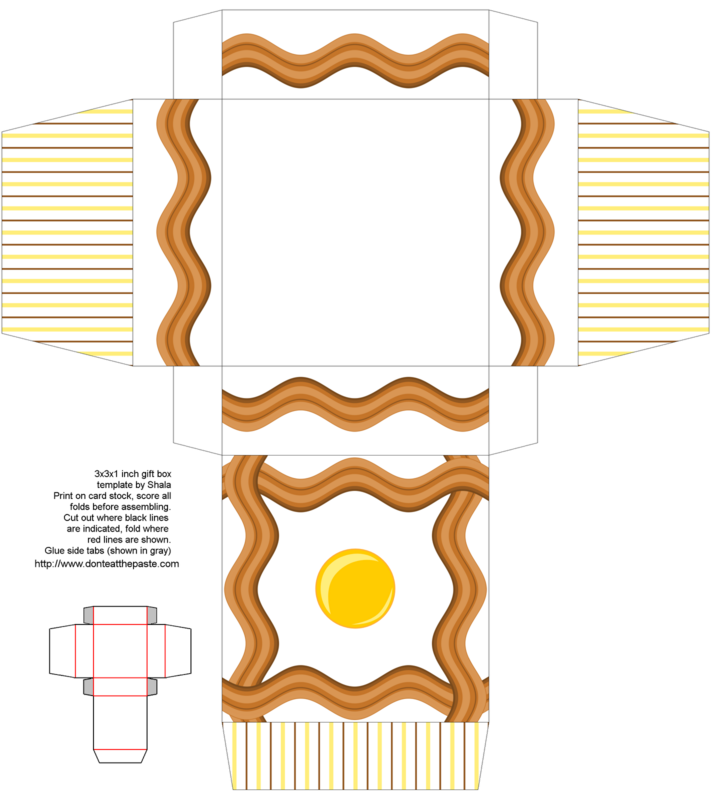 I'm thinking of designing some fabric to print on Spoonflower to make an apron with toast patch pockets! I hope you enjoy these boxes. I used the 2x2x2 template and the 3x3x1 template for this mini-set. 300 dpi, click on the images to get the full sized version. Print on card stock, cut, score, fold, glue. Should I make a matching recipe card set? Thank you for all the birthday wishes I'm getting today! Today, while my husband is at work, I'm going to make up some teriyaki sauce for him to use when he grills dinner tonight. He's planning on some sort of seafood. I'm not sure yet if that's going to be shrimp, salmon or halibut. It will be Alaskan wild caught whatever it is. 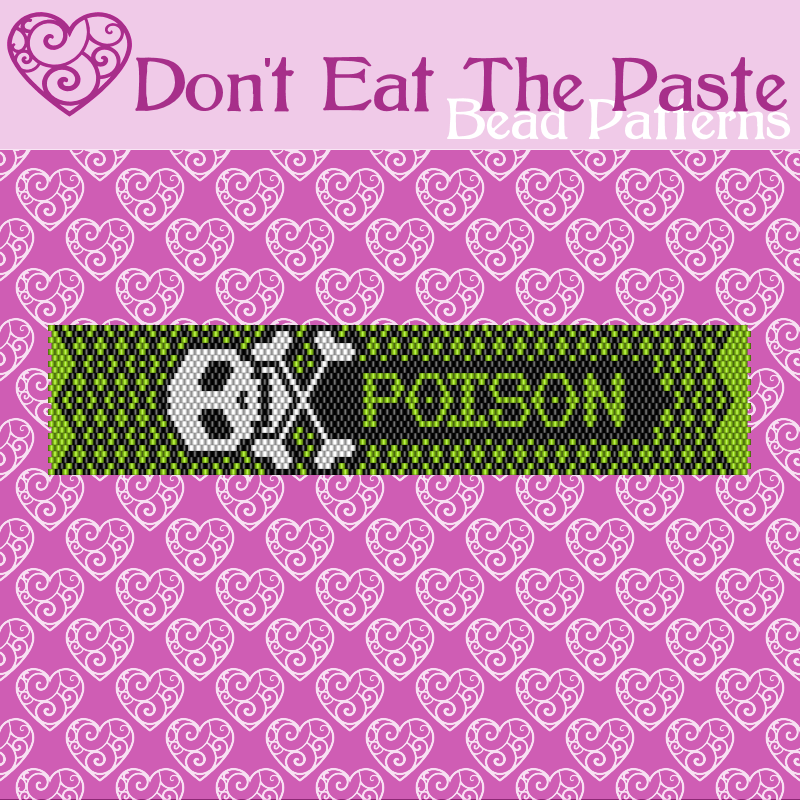 I added a new bracelet pattern for sale in my Etsy shop for my limited edition patterns. I like keeping my prices fairly low, so an average blank template in my shop is 1.60 and commercial use okay. My pattern collections are around 3-4 dollars each for several patterns. 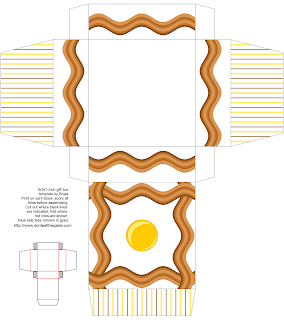 Because people keep telling me that underprice my work badly, I decided to do some limited edition patterns, the patterns are 3 dollars each, I'll sell 10 each then permanently retire the patterns. Making them up for sale is fine. 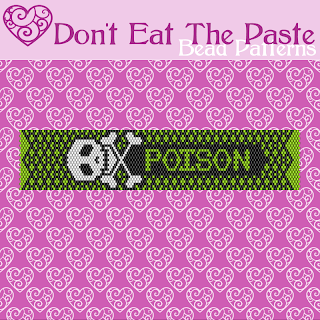 The limited edition patterns all say that they are are limited edition, and there are 3 so far, all bracelets, Ninja Beader, Cherry Pie (inspired by the Warrant song) and the one below, inspired by Alice Cooper. 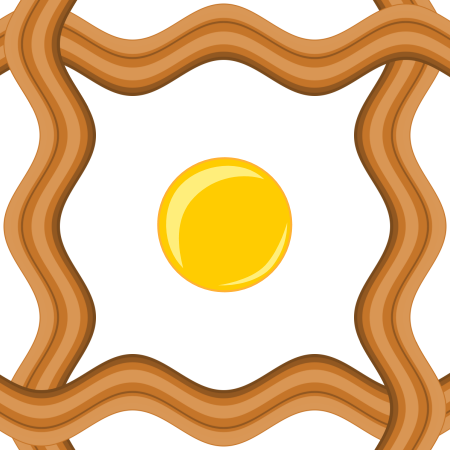 "Your skin/so wet/black lace/on sweat"
For the record, I would totally buy a preprinted "make an apron" fabric piece from Spoonflower for an egg and bacon apron with toast pockets.